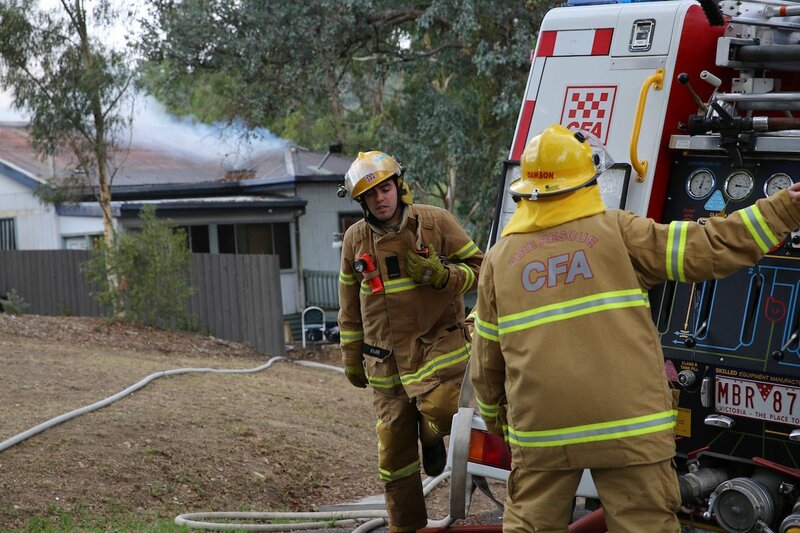 A FIRE has gutted a house in Brackenbury Street in Warrandyte today as more than seven CFA trucks attend the blaze. 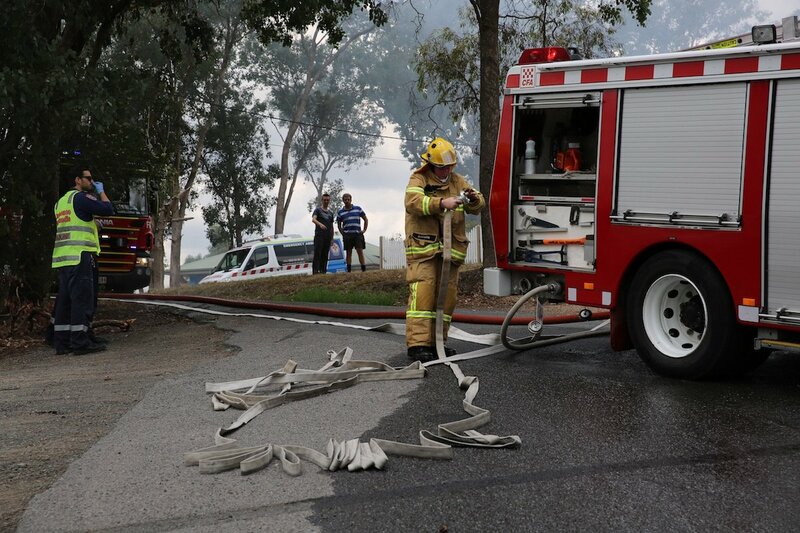 Firefighters are at the scene containing the fire, which is only a few hundred metres away from Yarra Street, Warrandyte’s busy main strip. At this stage it is unknown what caused the fire and it is believed the house had no people present. Neighbours called 000 after smelling smoke today at about 1.30pm. Resident Cassie Jones told the Diary she could smell smoke for about half an hour before taking a look around the area to see where it was coming from. 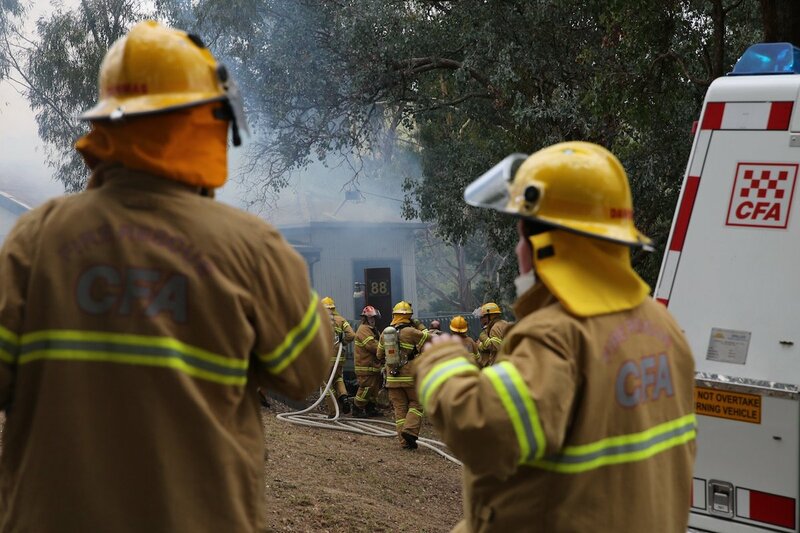 It is believed the house is in ruins with fire coming through the side walls and rooftop with large amounts of smoke billowing out and across the eastern suburb. WARRANDYTE’S Jock Macneish and Steve Pascoe have been recognised for their great services to the community by each receiving an Order of Australia Medal (OAM). Announced on Australia Day, Jock, our much loved Diary cartoonist and master of many talents, was recognised for his service to the visual arts and to the community of Warrandyte. Steve, a legendary figure at the Warrandyte Cricket Club, was recognised for his service to cricket. Both popped into the Diary this morning for a photo shoot and you can read all about it in the February edition of your CNAV Newspaper of the Year (back to back) Monday week.